New York State Senate ruling on Stedman land claim. Summary: This is the senate ruling that Philip Stedman had no right of ownership of the land which he claimed had been given to his brother John Stedman by the Seneca Indian nation. The reasons are given why the claim for remuneration from the state for the taking over of the Stedman land was dismissed. The Commissioners of the land office, pursuant to a resolution of the honorable the Assembly, of the 23d of March, 1816, referring to their consideration an act for the relief of Philip Stedman, together with the accompanying documents and report of the committee thereon, report— That by an act of the Legislature of this state, passed the sixth of April, 1803, entitled “an act for the sale of the unappropriated lands, and for other purposes,” the surveyor general was directed to sell the premises embraced by the provisions of the act under consideration, known and distinguished by the name of the “Stedman farm,” at public vendue for the term of eight years, and to execute to the purchaser a lease of the same, with such covenants and provisions as the commissioners of the land office should direct. 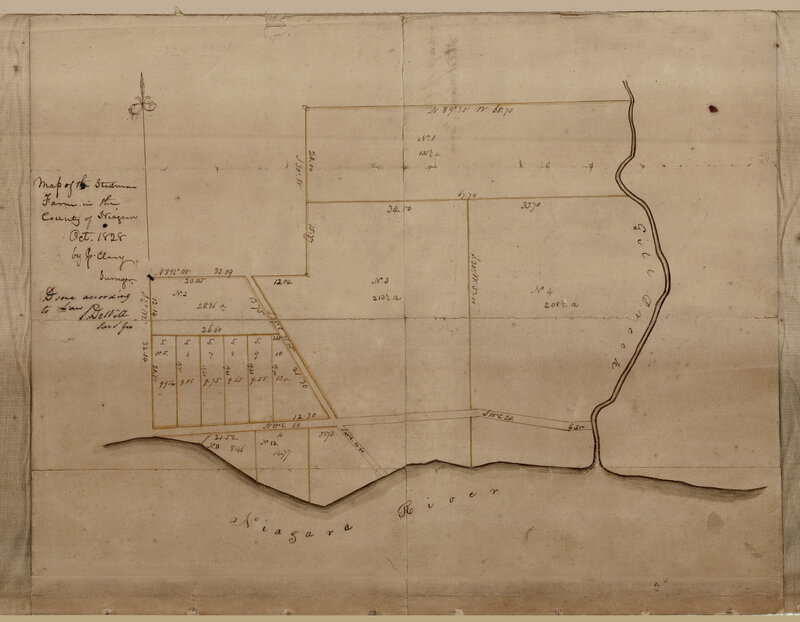 That pursuant to the said law, the surveyor general sold the term in the said premises authorised by the Legislature at public auction; that the same was purchased by Benjamin Barton, to whom the surveyor general, under the authority of the said ad, on the 7th day of April, 1805, executed a lease of the premises, to hold the Same from that. day until the 1st of May, 1813, reserving an annual rent to the state of two hundred dollars, and containing a covenant on the part of the state for the quiet enjoyment by the said Benjamin Barton, his executors, administrators and assigns. 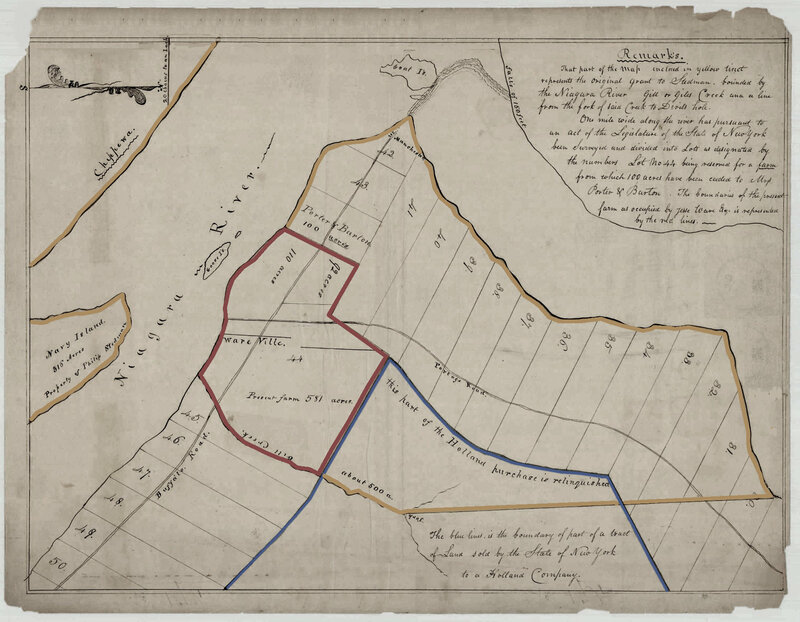 That at the time of the passage of the said act of 1803, Jesse Ware, as also several others as the commissioners are informed, were in possession of parts of the said farm, and continued in possession thereof until the execution of the said lease, refusing to deliver their said possession to the said Benjamin Barton, agreeable to the lease thereof executed to him in behalf of the state, whereby the state was prevented from complying with the covenants contained in the said lease. That for remedy thereof, a bill was introduced into the house of Assembly on the 17th day of March, 1806, on leave obtained for that purpose, entitled “an act for the sale of the ground in the vicinity of Black Rock, and for other purposes,” by which it was made the duty of the sheriff of the county of Genesee, on application of any person to whom lands lying on the Niagara river should be sold or leased in virtue of that act, or to whom lands had theretofore been sold or leased in pursuance of the act of 1803, aforesaid, to put such purchaser or purchasers, lessee or lessees, into the quiet and peaceable possession of the lands by them respectively purchased or leased from the state, and to remove all persons trespassing thereon. That the bill so introduced passed both branches of the Legislature without division, and on the second day of April, in the same year, passed the Council of Revision, at which were present the then Governor Lewis, the present Chancellor, the present chief justice and Mr. justice Spencer, without objection or opposition. lst. To re-invest the said Philip Stedman with the possession of the said farm. 3d. To direct an issue to ascertain the amount of the damages sustained by the said Philip Stedman or Jesse Ware, in consequence of the said eviction, and providing for the payment thereof out of the treasury of the state. 3d. That under these circumstances, the eviction of Jesse Ware, under the law of 1806, was a violation of the rights secured by the constitution. That all the evidence which has been submitted to them to prove the existence of the grant from the Seneca Indians to the said John Stedman, is their declaration made in the year 1805, herewith delivered—The commissioners do not believe that the facts stated in that declaration are true. lst. Because by the King’s proclamation of the 7th October, 1763, all purchases by private persons, from the Indians, were prohibited; and it was declared that if at any time the saidIndians should be inclined to dispose of their said lands, the same should be purchased only for his majesty and in his name, at some public meeting or assembly of the said Indians, to be held for that purpose by his majesty’s governor or commander in chief of the said colonies, respectively, within which they should lie. The commissioners find that the existence and continued operation of the said proclamation was recognized in the year 1676, by Sir Henry Moore, then governor of the colony of New-York, in a treaty held by him with the Indians in that year. They therefore think it highly improbable, that in the year 1764, the assent of Sir William Johnson was obtained to the alledged grant set up by the petitioners. 2d. Because by the 3d article of the treaty between the United States of America, and the tribes of Indians called the Six Nations, of the 11th of November, 1794, signed by Timothy Pickering, on behalf of the said United States, and the sachems and war chiefs of the Said Six Nations, the premises in question are expressly declared to have been ceded by the Seneca Nation, to the king of Great Britain, at a treaty held in 1764. with Sir William Johnson. But even admitting that the said grant was made, as set forth by the petition, it would not in the opinion of the commissioners vest a title to the said lands in the said Philip Stedman, nor do the commissioners believe that the said Philip Stedman. when he left this country, considered himself the comer of the said land, for by his petition to the legislature, under his own hand, presented in the year 1800, the original of which the commissioners have obtained from the files of the public papers, and which is delivered herewith, he expressly admits that the said land is at the disposal of the state, and claims from them general relief, in consequence of his advanced age, and other circumstances detailed in his petition, but in no sense pretends that he had a legal title to the said land, which petition was referred to the Surveyor-General, whose report is also herewith delivered. No evidence has been laid before the commissioners, to satisfy them of the correctness of the allegations in the preamble to the bill, as to the extent, continuity or quality of the possession of Philip Stedman, of the premises, nor do they think that such possession, if it had existed, would confer a title on the petitioner. Believing, therefore, as the commissioners do, that neither John Stedman, Philip Stedman, or Jesse Ware, ever had any title to the said farm, and knowing as they do, that Philip Stedman, as late as the year 1800, recognized in terms the right of the state to dispose of the property in question, and Jesse Ware, pretending no other right than he can derive from Philip Stedman, the commissioners are not prepared to say that the eviction of Jesse Ware, under the act of 1806, was an infraction of his constitutional rights, nor are they satisfied, that any circumstances exist in the case, which would render the provisions contained in the bill referred to them, just or necessary. M. V. BUREN, Attorney General. R. TILLOTSON, Sec’y. of State. And then the house adjourned until 10 o’clock to-morrow morning. Extract from Google Books, document pages 558 to 560. BSS July 2016. Both maps courtesy of New York State Archives and included here for education and research purposes only. The images are shown reduced on the screen and you can save and print the larger size.